The meeting of the Menston Business Association, scheduled for 26 February, has been postponed – new date to be confirmed – until Chair Christine North has recovered sufficiently from recent surgery. We all wish Christine a rapid recovery. Opening night for this year’s panto was last night – Thursday – but there are still three opportunities to take in this Menston tradition. Staged by Menston Thespians, there are performances at 7.15pm on Friday and Saturday and a 2.00pm matinee on Saturday. There are still a few places left on the Menston tour of the WW1 battlefields in September. 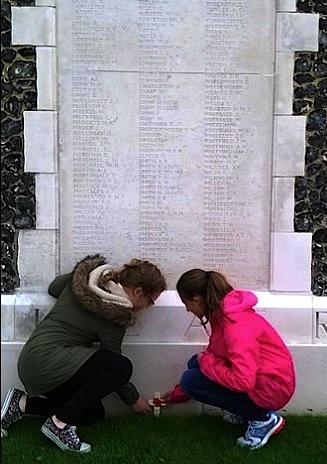 For six days from 13 to 18 September, there will be specialist guides and participants will be staying at the Novotel Ypres, a few minutes walk from the Menin Gate. The cost of the tour is £499, a £50 deposit being required at booking. To book or for more information contact either Judith Knaggs (david@timewarpband.co.uk) or Dale Smith (dale.smith@bradford.gov.uk). Happy New Year! Menston Action Group is back. Menston’s ‘election year’ is here! A Happy New Year ! to all the readers of this website/blog, particularly the ‘followers’ who, by following, not only ensure they are informed of each new post and/or comment but indicate that the considerable (entirely voluntary) work required to keep the site up to date is worthwhile. Thank you also to all those who have taken advantage of the unique facility, in Menston, provided by this website/blog, to comment and discuss issues of importance to the community. Thanks are also due to the individuals responsible for ‘publicity’ in many village voluntary and charitable organisations who have regularly sent information to appear on this site, thus ensuring the ‘Events’ listing and ‘Imminent events’ calendar are more complete and up to date than they would be relying just on things picked up from the ‘grape vine’. WordPress, which hosts this website/blog, tells us that Menston Village Wharfedale was viewed about 38,000 times in 2014, which considering that the author/webmaster was out of action for a considerable period and is only just getting back into regular posting, due to a serious health problem, is impressive. There were 419 pictures published on the site; that averages well over a picture per day, 95% of these being taken especially for and published only on this website. 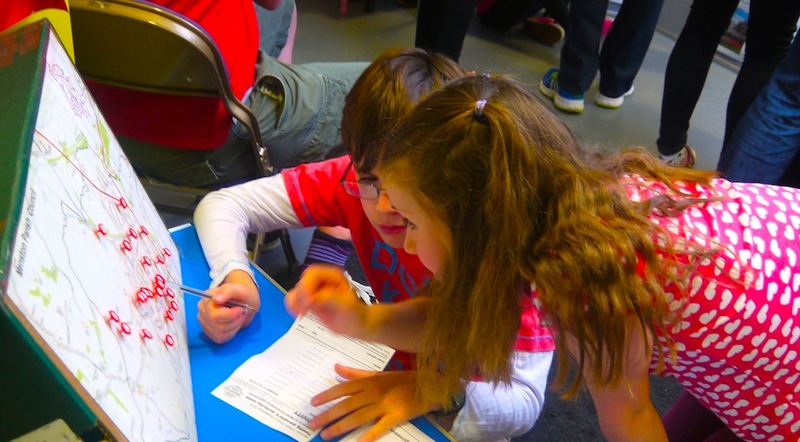 A considerable number have been of young people engaging in community activities. The busiest day of the year was 11 May with 1,307 views. 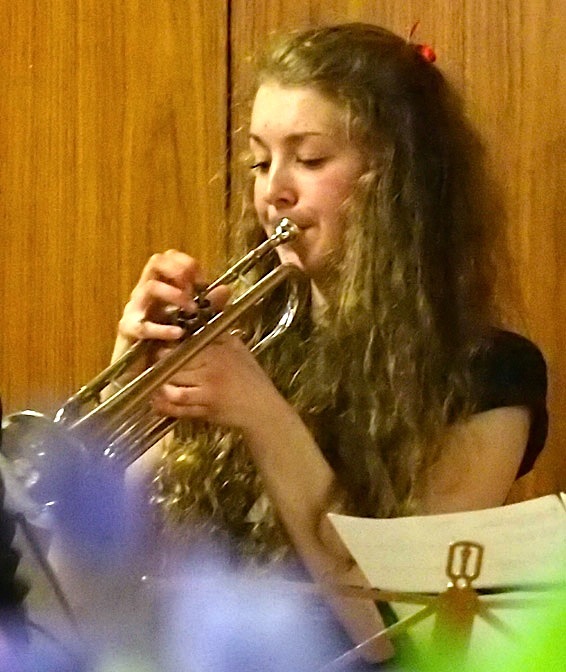 The most popular post that day was St Mary’s Menston Bambisanani concert, paying tribute to Nelson Mandela, 9 May 2014. The Menston Vehicle Show posts had even more views over the respective weekend. Some of the changes outlined below will lead to some changes on this website. It is likely to include even more opinion (the change has begun in this post) and point to issues for discussion while continuing to present news and pictures – even video clips – about events, activities, community developments and Menston businesses in a hopefully interesting way. The policy of allowing comments to be made anonymously, and not editing them unless they are obscene, illegal or personally abusive, will continue. Some of the ‘services’ provided to village organisations, eg the ‘official’ Menston Community Association section, where meeting agendas and minutes have been published, may be dropped. There were some notable developments for the Menston community during last year, particularly the transfer of many of the previous ‘campaigning’ activities of the Menston Community Association to the Parish Council. Most notable among these are opposing the inappropriate housing developments on Bingley Road and Derry Hill and the monitoring of aircraft noise from Leeds Bradford Airport. The formation of the Menston Business Association was an important step to help ensure that a vital feature of the local community – local businesses – are promoted and supported. Let us hope this organisation becomes ever more active over the coming year, helps to develop some of the important aspects of village life and even prompts introduction of new ones. Entrepreneureal thinking could be an important input to the development of village activities and services. Let us hope its activities might also lead to reintroduction of some important missing shops in the village – such as a butcher and greengrocer. A pipe dream? Maybe, but cooperation between the MBA and the MCA could lead to greater support for such local businesses than has been evident recently. 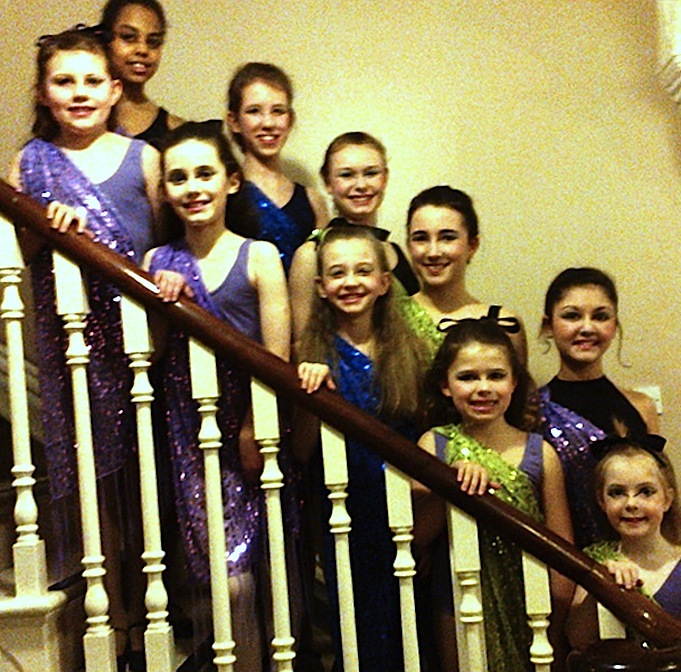 An important development last year was the involvement of the MBA in the Menston Village Show. It is to be hoped that the experience gained by both the MBA and the Show Committee as a result will lead to more development of this important annual event. Although it has been argued on this site that the Menston Community Association was not the right body to lead the fight against inappropriate housing development, as it led to many other community matters with which the MCA should have been concerned being shoved to one side and even ignored, leaving this to the Parish Council would, on past experience, be disastrous. Indeed, had it been left to the Parish Council over the past few years it seems likely that we would already have all the traffic, transport, educational and health services problems that an extra few hundred houses would bring. A truly independent voice was needed. It is therefore a real relief to see the resurrection of the Menston Action Group which, of course, was formed originally to oppose inappropriate development. It is to be hoped that MAG fights the battle on all fronts, not confining itself to just the flooding consequences. 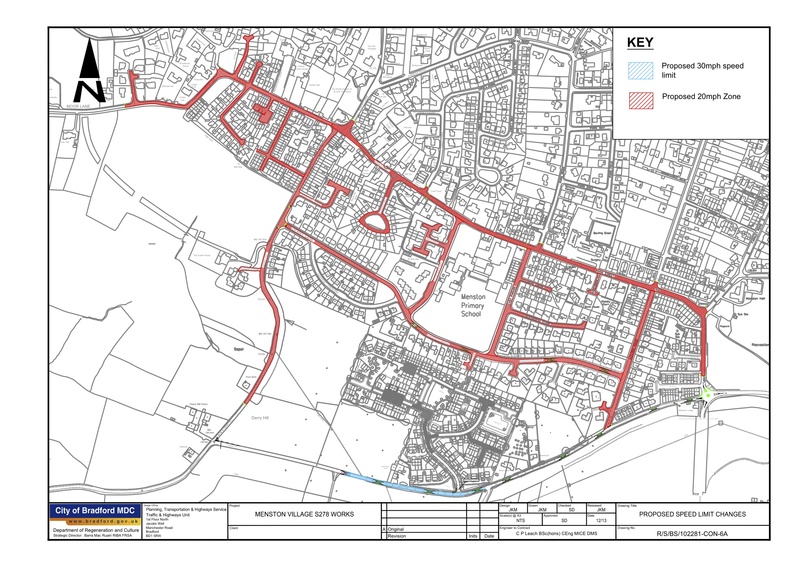 Important as these are, and it may well be that these have been the basis on which the developments could best be stopped, it is not the consequent flooding which would kill Menston. It is the destruction of green space, destruction of Main Street, overloading of services and joining up of the currently separate Wharfedale/Airedale communities into one oppressive urban sprawl which would kill our village. So, although very costly, there are engineering solutions to the flooding problems which would threaten the village should houses be built on the currently proposed sites. There are no engineering solutions to the destruction of a village community by the consequences mentioned above. MAG has announced its resurrection with a new website and it will be interesting to see how this develops. At the moment there seems to be no facility for commenting publicly on items appearing on the site, reflecting the tag line “Relaunched site to keep you updated”, which seems to indicate only one way communication is intended. If so this is a pity. To be effective it needs the level of involvement of the community seen at the time of the referendum. Public meetings alone, particularly those now controlled – eg the Neighbourhood Forums – by the Parish Council, are not likely to achieve this. Nevertheless, the new MAG site gives this site the opportunity not to publish the volume of factual information, reports, etc, as in the past, just pointing to the MAG site for these, so leaving more time to comment on developments. Now that the MCA has had its teeth pulled, it will be interesting to see how it develops. Will it now be active in not only ensuring support of the many independent community organisations active in the village but active also in introducing new ones? As a registered charity it has an enviable capacity for supporting the community should it choose to use it. This year, 2015, is not only the year of the general election but before that there is an election which, it could be argued, is even more important for the future of Menston village – the Parish Council election. This is an opportunity for the community to consider whether the current ‘system’ of an MPC which effectively re-elects itself regularly is what the Menston community needs. Of course, there need to be nominations for new Councillors, and that means there need to be people willing to offer themselves as Councillors. What is more, we need a good turnout at the election to ensure we end up with a truly democratically chosen body to represent us. This website will be doing what it can to ensure full advantage is taken of this opportunity. 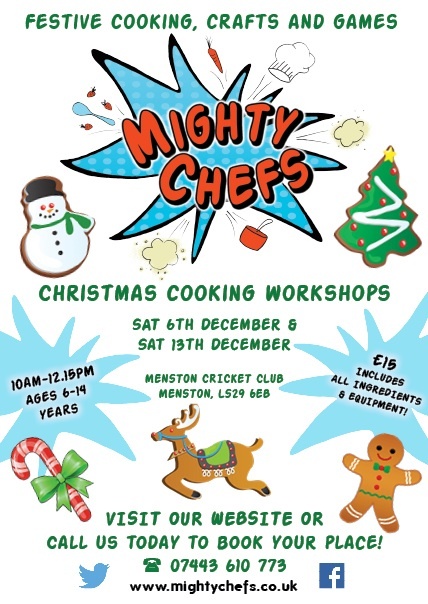 Menston’s ‘Mighty Chefs‘ are holding one of their cooking workshops for children between 6 and 14 years old at the Menston Cricket Club next Saturday morning (13 December). The mission of Mighty Chefs is to introduce children to cooking and enjoying honest and nutritious food – but in a fun and exciting way. Mighty Chefs say that by enabling children to start cooking from an early age, they are encouraged to make wider food choices whilst gaining key life skills. The first full members’ meeting of the Menston Business Association (MBA) was held at the Menstone Club on 21 November. Previous meetings since formation of the MBA have been committee meetings. New members were welcomed. The minutes of the meeting can be found on the MBA page; click the MBA logo in the right sidebar to go to it. The next meeting is scheduled for February 2015. 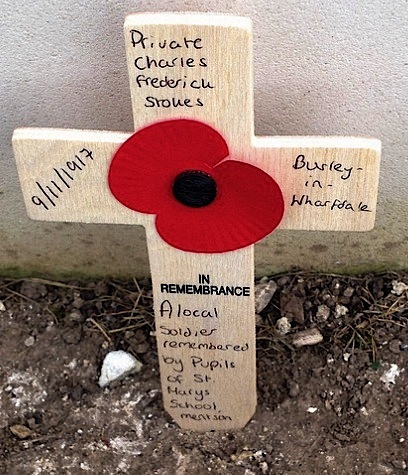 The service was launched by the ‘webmaster’ of this site, former journalist, marketing communications and public relations consultant Roger Livesey, and is a member of the Menston Business Association. Watch out for the next post for news about some notable Menston people and groups which have gained some well-deserved awards and recognition. (If you ‘follow’ this blog – button top right – you will get notification of each new post as it appears). Maria Sage, 13 years old, managed to beat all the adults and score the most points for her entries at the Menston Village Show on Saturday 6 September, taking the Fawcett Trophy awarded to the overall winner. She won three other trophies for entries in her age category, taking the cups for photography, handicrafts and flower arranging. Click any picture in the gallery below to see them larger, with captions, as a slide show. Best in Show was taken by D Ascough with wonderful entries of dahlias, and best children’s entry in show was won by Charlie Hooton with a superb miniature garden, complete with greenhouse. 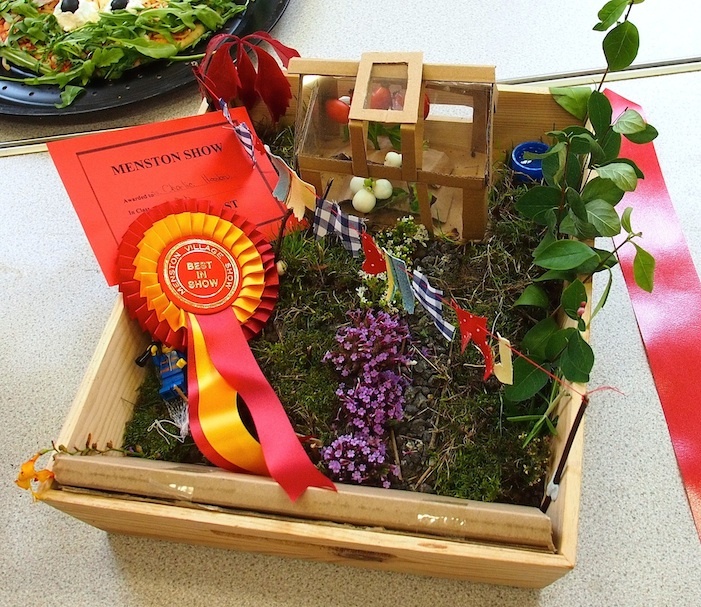 Click the following link to the Menston Show pages (or click the show button in the right side-bar) to see all the prize and trophy results. You will also find a link to a list of all the prize winners in the Menston Business Association (MBA) ‘Young People’s Activity Zone’. You have a tea grandad; I just need to sleep! In the MBA young people’s activity zone, the most popular activities were a property game to match people and cartoon characters with their houses, staged by estate agents Ribston Pippin, and a mini toy supermarket for under sevens, staged by Cleasby Kindercare and sponsored with produce by the Menston Coop. Identifying places in Menston from photographs taken around the village fascinated some children (and perplexed even more adults) though no-one identified them all and no-one managed to correctly translate to English the date in Roman numerals on the old primary school building. Identifying leaves from locally growing trees, assembled by Elizabeth Loy, also attracted some young contenders though none managed to get them all right, the top score being ten of 12. 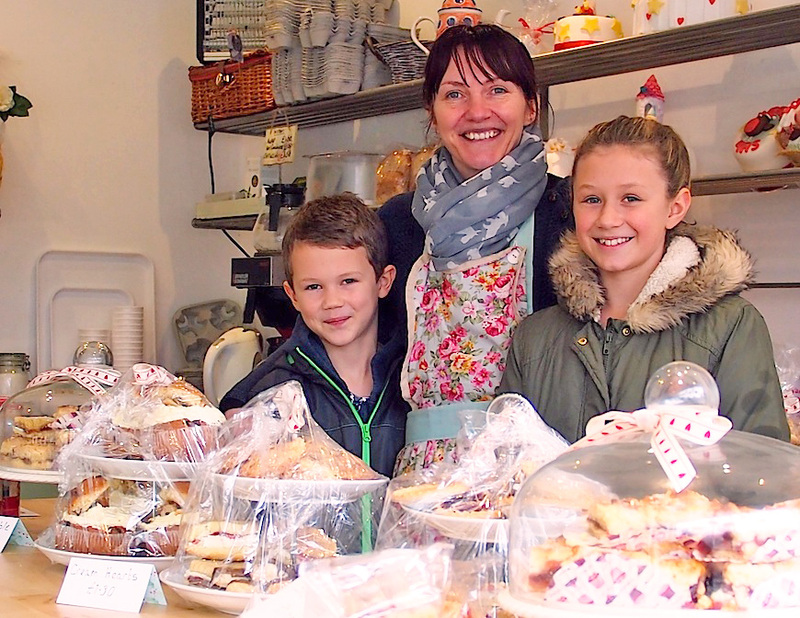 Top prizes of vouchers to spend in Menston’s Solo delicatessen and coffee shop were won by Rebecca Shaw (1st, £12.50), Dylan Britchford (2nd, £7.50), Imogen Baker (3rd, £5). All the MBA prizes and accompanying certificates can be collected from Solo. Answers to the ‘Where in Menston’ and ‘Menston History’ quizzes in the MBA ‘zone’ are now on this site here; the ‘Identify the leaves’ answers, with photos of the leaves, will be on the site soon, so visit again. In fact, why not ‘follow’ this site by entering your email address in the box towards the top of the right side bar and you’ll get an email notification of each new post, usually not more than one a week.